I have a soft spot for all things Italian. I love the language, culture and especially the food. When I first moved to San Francisco (after living in Italy) I lived on Telegraph Hill and I did a lof of my shopping in North Beach, which has traditionally been San Francisco’s Italian neighborhood, dating back to the early 1900’s. 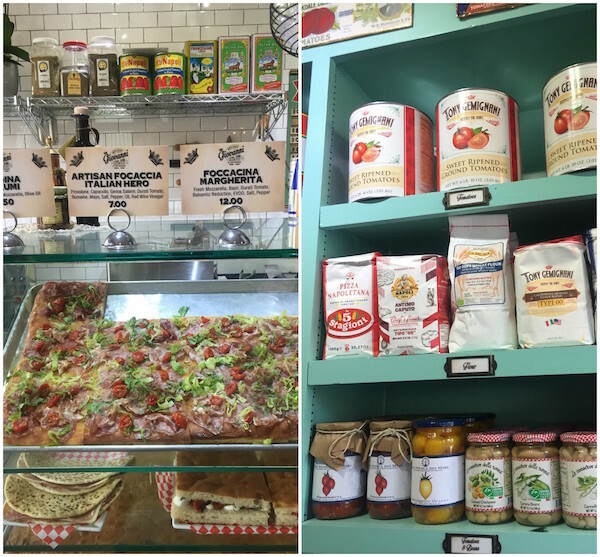 I loved being able to speak Italian in the delis and buy fresh pasta and focaccia and a bit of Pecorino Toscano—just as I had in Florence. But North Beach is changing and Italian delis in particular have been in a decline all over the city. So I’m really pleased to see that a new Italian shop has opened up in North Beach. It’s Giovanni Italian Specialties by pizza impressario Tony Gemignani and is named for his 3 year old son. The shop is jam packed with high quality ingredients and prepared food. 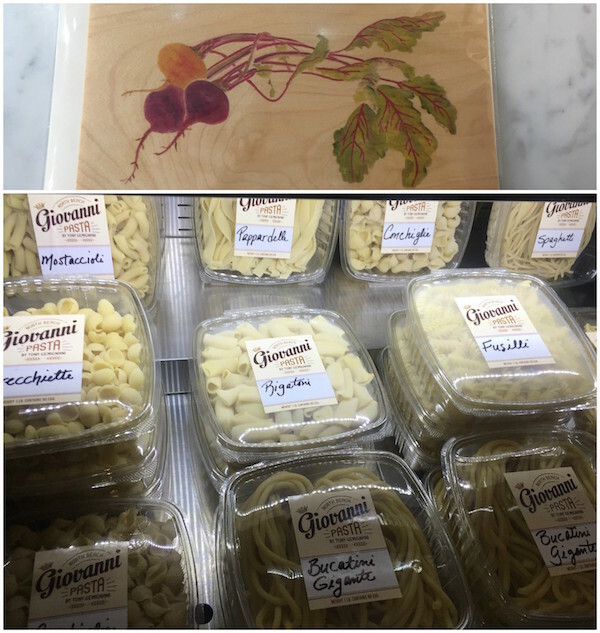 They are making extruded pasta on site and offer fresh pesto and jars of imported ingredients. Because it’s across the street from Washington Square Park it’s a perfect spot to pick up a piadina, slice of focaccia or pressed focaccia sandwich to go. The focaccia by the way is from Liguria Bakery just across the park. 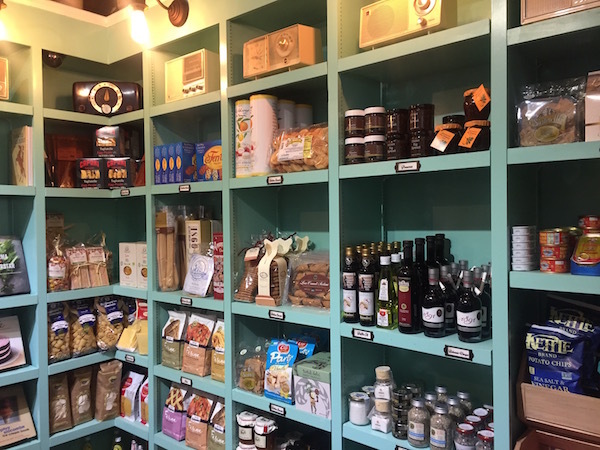 The shop carries a lot of products from Ritrovo, an importer from Seattle including oils, vinegars and tapenade and also offers some housewares and gift items including some cookbooks, linens Tony has brought back from Venice and small local ceramic pieces. While compact, the details to the shop like the collection of old transistor radios and fruit crate labels are very endearing and give it a personality all its own. The shop is run by general manager Lydia Faiella an artist who produces beautiful watercolors on wood cards—you’ll find them on display at the counter. Stop by next time you’re in the neighborhood.